Prefect for sealing difficult to clean matt finishes making them far more stain resistant, one application will last up to 6 months. 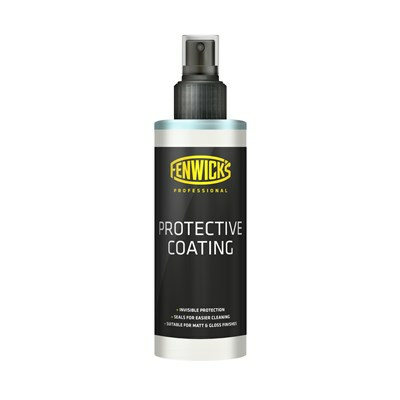 Fenwick’s Professional Protective Coating is simple and easy to apply with a minimal curing time but gives long term results as it permanently bonds to the existing surface. Once sealed, the frame and components take on a new-found resistance to surface contaminants like energy drinks, gels, road grime and dirt, making cleaning quicker and easier.